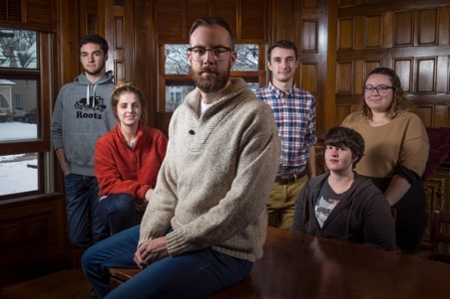 A group of youth have developed a new video game about their experiences in the LGBTQ+ community as part of a dissertation by University of New Brunswick PhD candidate in sociology, Nathan Thompson. The game is called fade and explores the varied micro-aggressions that many members of the community deal with on a daily basis. It also deals with non-binary gender identities, something people may not be as familiar with. The researcher behind the project, Mr. Thompson, was interested in issues of diversity and inclusive gaming that go beyond increasing LGBTQ+ representation in video games because of his past experience and research in the area. “By putting game production into the hands of LGBTQ+ people, they are able to decide where and when representation does or does not matter and how their experiences as LGBTQ+ people inform game design and content,” said Mr. Thompson. In September, Mr. Thompson put out a call for participants and selected a group of six individuals, all who fall somewhere along the LGBTQ+ spectrum. Along with independent game developer Chad Comeau, the six participants met consistently to discuss what issues mattered to the community and how they could represent these issues in game form. The final result is a narrative-driven game that addresses issues not often thought about by the general population when discussing LGBTQ-related topics. Mr. Comeau agrees that the end result was largely successful. As an outsider to the community, he felt that he learned a lot not just from the game itself but also from the process of working together with a group of unique LGBTQ+ individuals. UNB media arts and culture (MAAC) students tested the game and provided anonymous feedback. Mr. Thompson said that the feedback received was extremely positive and players learned about new identities. The game has not yet been released, but has already been well received, having been accepted into the Different Games conference in Brooklyn, NY. The conference takes place on April 8 and 9. The game will be released to the public shortly after on April 12.